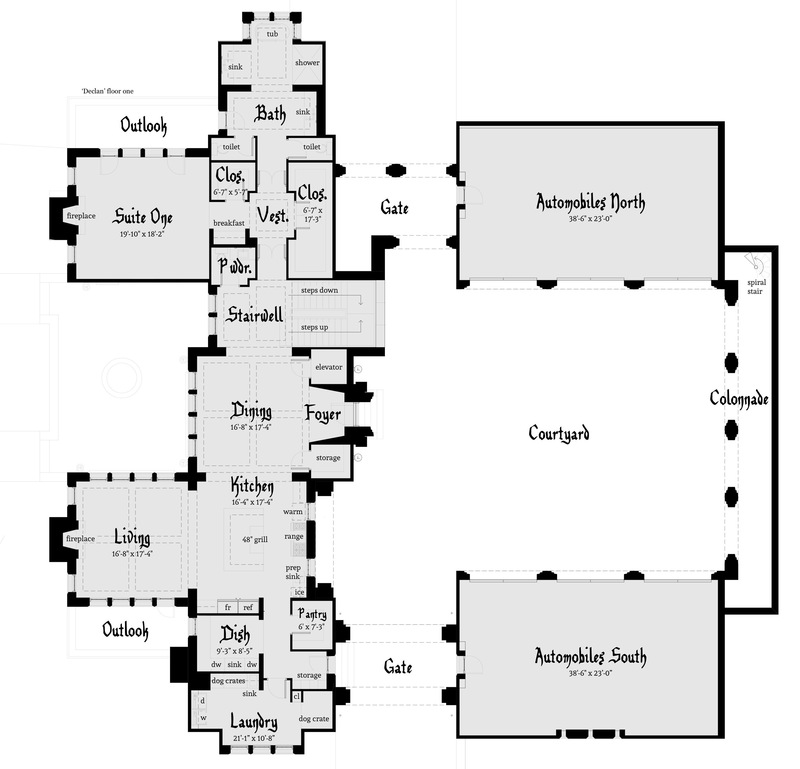 The Declan Castle House Plan. 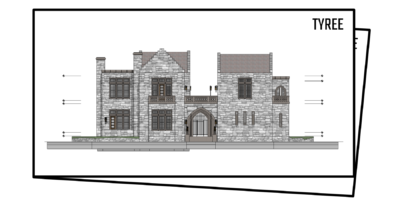 Declan Castle is a 6 bedroom castle design built over a hillside walkout basement. The interior courtyard is surrounded by the Gothic arched colonnade. Outdoor spiral stairs lead to the upper walks, and detached suites. Above the north garage is a private office suite with walkout to the north and east watch. 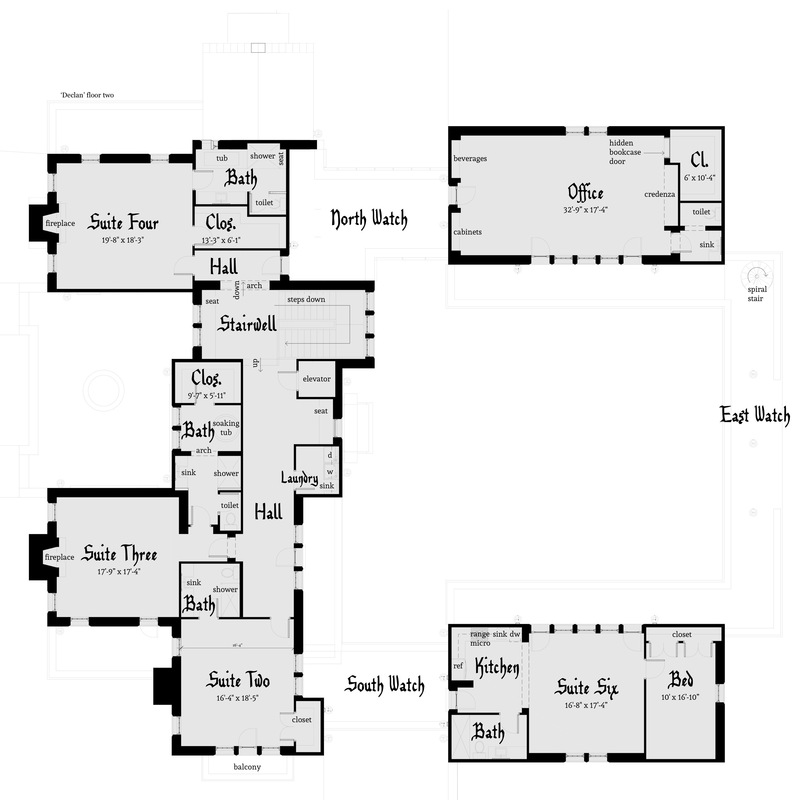 The main house is designed with six master suites, including a full apartment suite with a kitchen above the south garage. 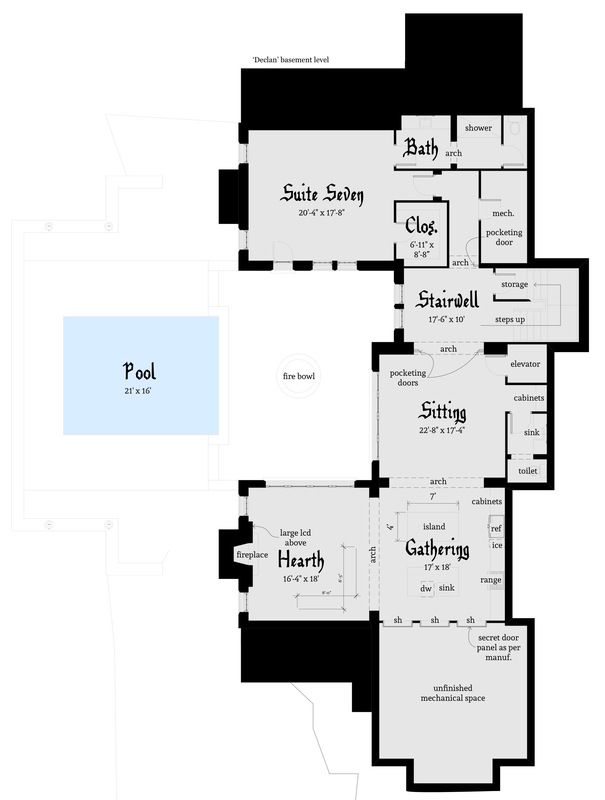 and 12′ ceilings in master suite. 10′ ceilings on second floor. The standard version of this plan is designed with a walkout basement. The upper floors are pre-engineered wood trusses. The exterior walls are double 2x6 wood framing. The roof is slate and waterproof membrane over plywood deck, and pre-engineered wood trusses at 12:12. The upper walks are designed with a waterproof membrane system. Great design! 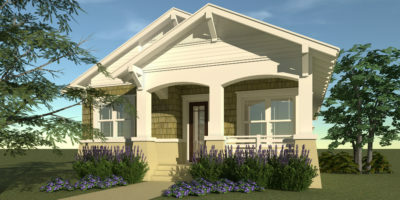 Very talented designer and great renderings.